The suicide attack on Thursday was the second such attack on the Indian Embassy in the past fifteen months in Kabul. The attack claimed the lives of seventeen, including the two Afghan policemen who attempted to deter the bomb-laden vehicle from breaching the compound. Similar to the last attack on the Indian Embassy that left 60 dead last year, the footprint the terror consortium of the Jalaluddin Haqqani network, Taliban and ISI is clear. Earlier this month, Gen Stanley McChrystal stated in a leaked assessment, that growing Indian involvement in Afghanistan would encourage Pakistani “countermeasures”. More recently, former CIA Islamabad station chief Bob Grenier stated at a US Senate Foreign Relations Committee deposition that the close relationship between New Delhi and Kabul “literally drives [Pakistan] crazy”. This comes at a time of considerable disquiet in Pakistan. The Kerry-Lugar Bill has met with vociferous disapproval, initially from the media, and later from the Pakistani Corps Commanders’ Conference. The disapproval is based on the belief that some provisions — including India-specific terror clauses — impinge on Pakistan’s sovereignty. The Pakistani government (and military) must clarify how these clauses violate Pakistan’s sovereignty. Specifically, Pakistan must articulate whether it believes that allowing its soil to be used to plan, organize and execute acts of terror against India is an exercise of its soverign right. So, was the attack on the Indian Embassy meant to demonstrate Pakistan’s open defiance of Kerry-Lugar? Maybe, maybe not. Either way, if enlightenment hasn’t dawned on the Indian government now, it never will. Pakistan will continue to use such “countermeasures” because it knows it can do so without eliciting a military response from India. And increasing Indian involvement in the development of Afghanistan only increases the number of potential targets for the terror consortium. Today, India’s ambitions in Afghanistan are not commensurate with the level of protection it is willing to provide to protect its interests. “Soft power” is an important element of state diplomacy, but when not backed up by a credible intent to defend, paints a picture of a state that is benign, diffident, weak-willed and apprehensive. India must stop outsourcing its intelligence and security needs in Afghanistan to other countries. It must do what it has to do to protect its interests, its citizens and its friends. Hitherto, India received inputs mostly from Afghan and other intelligence agencies. It is time for India to upgrade its intelligence capability in Afghanistan; additional emphasis must also be placed on better intelligence coordination between Afghan, Indian and other foreign intelligence agencies. Serious thought must be given to an Indian military deployment in Afghanistan. However, for India to get bogged down fighting an insurgency would be counter-productive and would risk squandering the goodwill of the government and people of Afghanistan. Therefore, India needs to think along the lines of a limited military deployment in Afghanistan and one with a mandate to protect its citizens and interests in that country. This is India’s own “countermeasure”. India has invested over a $1.2 billion in Afghanistan; Indians from all walks of life — doctors, engineers, teachers and security professionals — attempt to secure the future of Afghanistan and its people. However, the security provided to these very individuals is either nonexistent or found wanting. A deployment with limited mandate presents undeniable risks. The possibility of the lines between India’s defensive deployment and the larger US/ISAF COIN operation being blurred, the risk of Indian troops becoming targets for the Taliban, Haqqani and ISI consortium and loss of goodwill in Kabul do exist. However, the alternative to this arrangement is the status quo — India’s current posture. As things stand today, a Pakistani attack on Indian citizens, property and interests in Afghanistan goes unchallenged. Not much is ever done by way of a response, apart from registering the customary “our patience is not inexhaustible” complaint with the US and holding back on dialog with Pakistan. The choices before India are stark: either it believes that Indian property, investment and lives are worth sacrificing for the greater goal of strategic partnership with Afghanistan, or it accepts that Indian security cover is essential to protect those who undertake the perilous, yet noble journey of rebuilding a war ravaged nation and spreading the goodwill of India and its people in that part of the world. Time is running out, and India must decide soon. What is it going to be, Mr. Prime Minister? US plans for the $1 billion upgrade of their Islamabad embassy are taking shape. The plans include investments of about $405 million in reconstruction of the main embassy building and $111 million for a housing complex for additional personnel. The US has already purchased 18 acres of land from the Pakistan government for additional accommodation for diplomatic personnel. This plan to increase US presence in Pakistan was first announced in May 2009, to complement Obama’s Af-Pak strategy. The plan also calls for a significant increase in the number of personnel (by about 1,000), and includes the deployment of 350 marines and several armored personnel carriers. The slow but steady increase in US boots-on-the-ground provides the Americans the ability to carry out COIN and covert operations in NWFP, FATA and Baluchistan with or without direct assistance from the Pakistani army and the ISI. Clearly, the frustration of being encumbered by a double-talking “ally ” has translated into the US adopting a more operational role in the border regions of Pakistan and beyond. Indeed, there are reports of significant US muscle power already present in the Tarbela area (about 20 miles NW of Islamabad), in addition to CIA “facilities” in Karachi and Peshawar, and Predator drones operating out of Shamsi airbase. While there may be question marks over the exact role of US marines in Pakistan, they are clearly there as a result of Pakistani government assent — whether provided voluntary or under compulsion. Boots-on-the-ground provides the US the flexibility to operate with enough independence to pick and choose targets for engagement, while leaving some of the “dirty work” to the Pakistani army. It now transpires that there are already 300 plus US military personnel in this area – the so-called “trainers”. Of course, given the poor counter insurgency record of the US, heaven knows what training they will impart to our much better trained army! 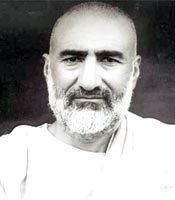 Of course, one could point out that for all the bravado and chest-thumping, the Pakistani army has nothing to show for its COIN efforts in Swat, that the Swati leadership is still intact, and that as was last known, the Radio Mullah had resumed his FM-based sermons, but the concepts of “fact” and “logic” are largely irrelevant in Mazari’s writing. Meanwhile, the August 3 editorial of The Dawn disapproves of the increasing US presence and asks whether such a move would “endear” the US to Pakistani civilians. The editorial sees the development as being part of US’s contingency plans of taking control of Pakistan’s nukes, in the event of a meltdown of the state. It points out that the Americans operated a similar base out of Tehran during the Shah’s rule, and asks, with tongue-in-cheek, whether such a base wouldn’t be more suitable if it were to operate out of capitals in the region that were friendly to Washington, such as Kabul or New Delhi.